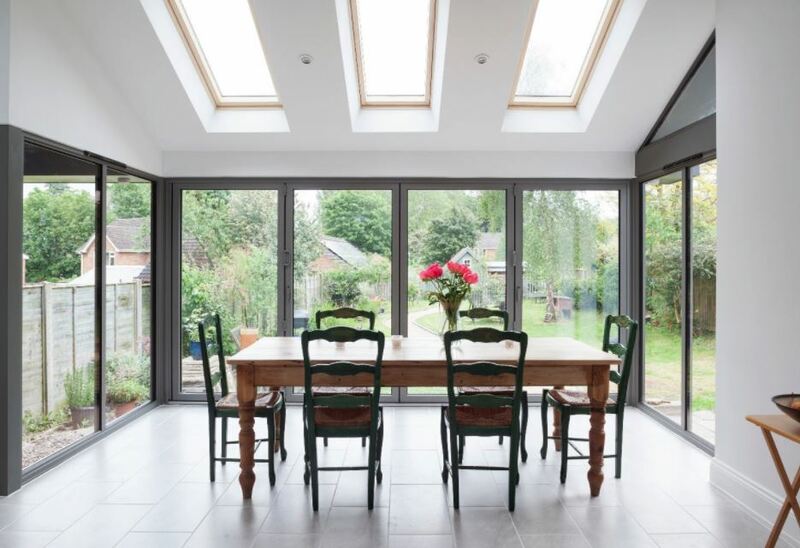 It could be one of the most exciting projects you ever take on in your home and that’s why choosing a new kitchen, complete with stylish bifold doors to provide the perfect house-to-garden connection, needs careful thought, planning and preparation. From selecting the right kitchen units and workspace, to finding an architect or designer who shares your passion for creating an interior masterpiece, it’s a journey that gives effort its worth. And choosing the perfect glazing, which opens out onto contemporary patio paving and luxury garden furniture, will only add to the sleek design by successfully illuminating your indoor/outdoor living space. Last year, according to industry figures, over 40,000 bifold doors were installed in the UK and houses up and down the country were being transformed into stunning and stylish homes oozing individual personality, character and charm. The way bifold doors combine inside and outside living space is totally unique, and this stunning look really transforms a home by letting in the perfect amount of light. 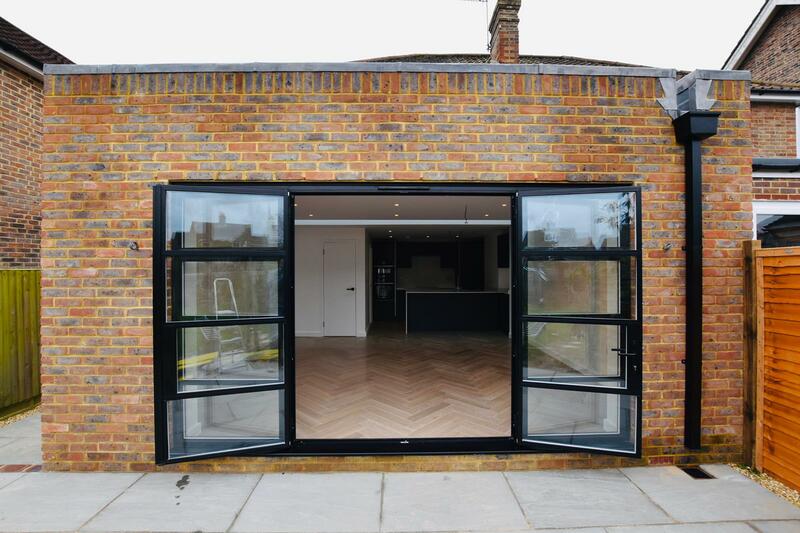 This is probably the biggest and most important reason why homeowners are choosing to welcome bifold doors into their homes – and into their lives. 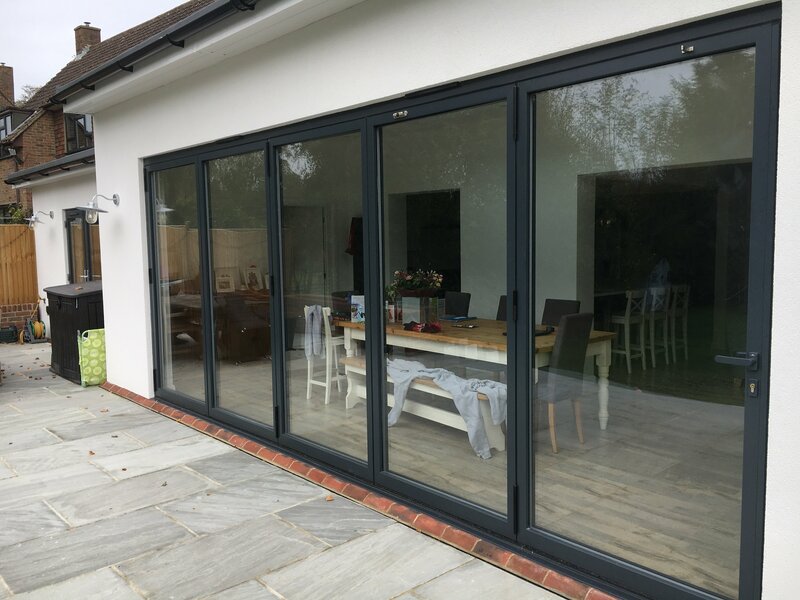 If you love entertaining outside and hosting dinner parties in the summer, installing bifold doors will give you that beautiful, smooth and seamless transition – linking the delights of your back garden to the luxuries of your beautiful home interior. To enjoy the absolute maximum space from your kitchen and dining room, bifold doors immediately open up an area but they can also create a contemporary and useful divide between different rooms in your house. Whether you’re planning on linking a kitchen to a dining room or joining up a conservatory or orangery, bifold doors will work perfectly in your living area and can add a real wow factor when you walk in. One of the biggest benefits of bifold doors is just how flexible they can be in any downstairs room. If you’re working with a designer or an architect, you’ll probably already know that you can have all the sashes designed so that they open up the same way. You can even choose how many leaves you would like on each side and whether you would like to opt for bifold doors that open inwards or outwards. And there’s something else… Instead of peeling back every single door if you just want to pop out into the garden to run an errand, you can add a single traffic door to your practical design to make it more convenient. They let the light in. 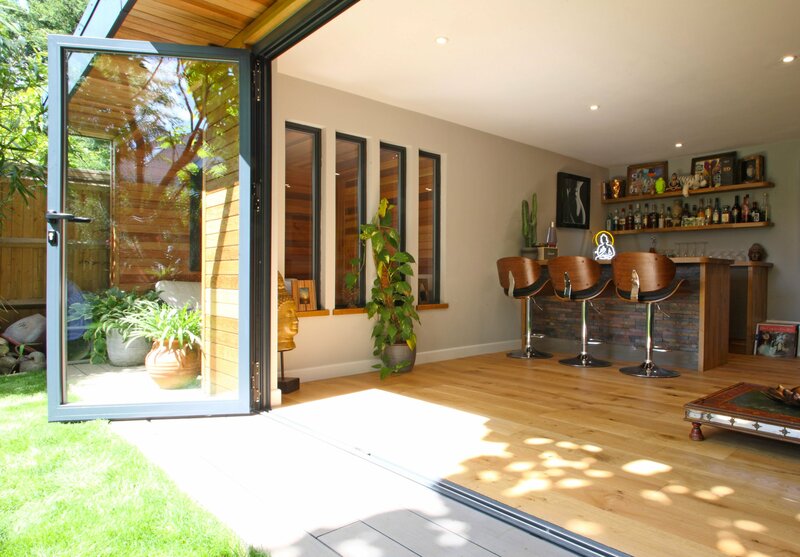 Homes can be truly revamped by adding bifold doors, especially if you’re keen to give your home a stylish makeover and transform the interior layout by opening it up to more daylight. They help to create more space. 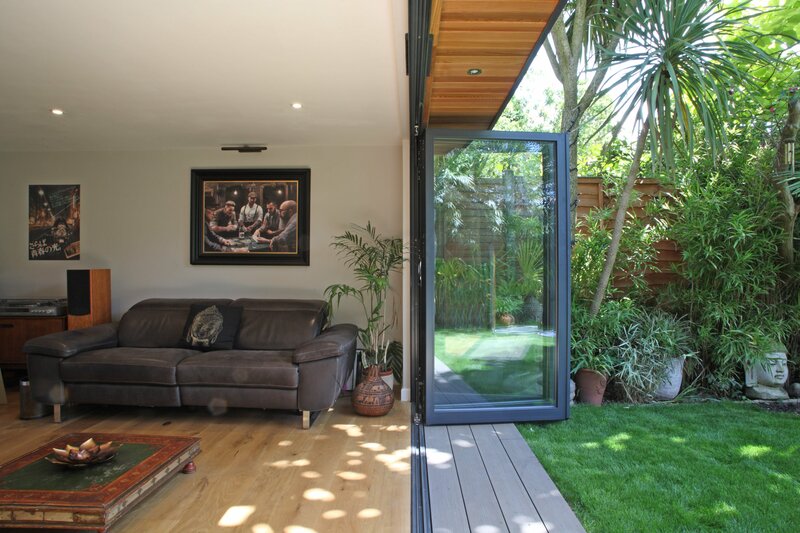 When closed, bifold doors turn into a wall of glass, which is sleek and space saving. And when they’re open, they completely fold away to maximise natural light and promote a stunning open plan area – ideal for entertaining. One word – aesthetics. They’re sleek, simple and stylish and have become a must-have for homeowners planning a bespoke interior design project – especially at the back of the house to encompass the kitchen and dining area. They don’t warp or bend in the heat and they’re much less likely to look dirty or split during the winter months. They also have a longer lifespan which can make them the more cost-effective choice in the long run. 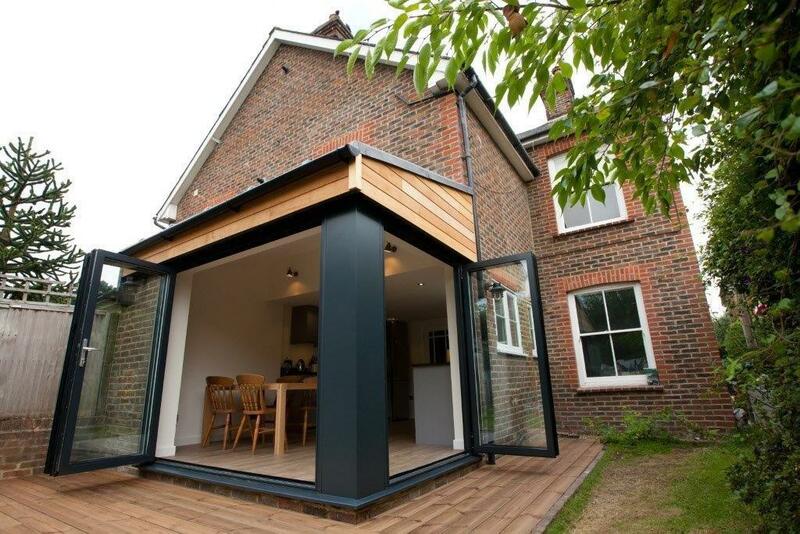 You can expect to pay more but bifold doors will provide superior thermal insulation and extra security features. Consult your designer and installer for clarity, but bifold doors could quite easily give you the space you need to introduce a stand-alone, functional and fantastic island in your kitchen. These firm favourites are often square in shape, but can be L-shaped, rounded or rectangle. 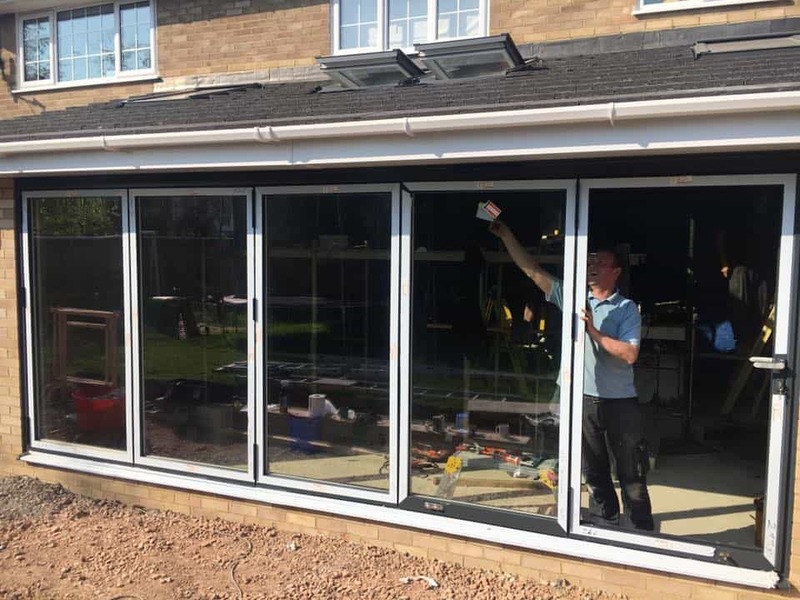 If you’re planning a renovation, it is often possible – thanks to the installation of bifold doors – that one can be naturally incorporated into a space to act as a transition element between the kitchen and dining area or the kitchen and the garden. If your bifold doors open outwards, you will could be creating more kitchen space to allow easy movement around the entire island – creating an airy and opulent focal point and drinks area for entertaining guests in the evening. Islands have been a long-standing ‘wish list’ feature in kitchens, but you need ample space to accommodate one, otherwise they look too cramped and squashed in. If you keep in mind that the walk space around the island should be at least 120 cm, you won’t go wrong. But just think how wonderful it would be to have one – especially against the backdrop of a set of beautifully-crafted bifold doors. As functional as they are beautiful, a hugely sought-after kitchen island will provide a smooth workflow and comfortable space for preparing and cooking food. Kitchens are the hub of the home and if you love cooking then transforming it into your dream space could be just a tiny bit exciting. It’s where families get together on a sunny Sunday afternoon and where you host parties for friends on a Saturday night. It’s the heart of the home and if you’re planning something new and exciting, then it requires some careful thought – and perhaps some expert input to help map out the perfect design. 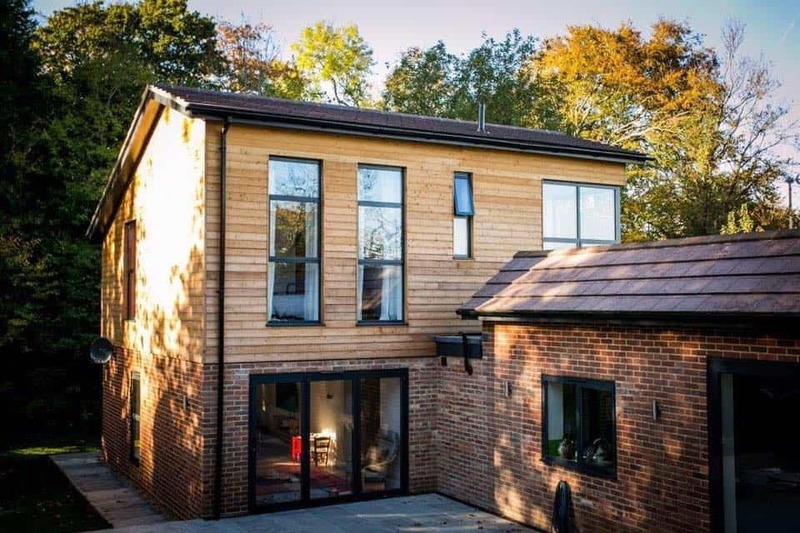 For many homeowners, it is the room that takes the most planning and certainly the most investment and that’s why it’s vital to get everything right if you’re considering a renovation or refurbishment. Creating a brighter interior with an open-plan kitchen design – including bifold doors – can literally transform a house and make it into a home. Their chic and minimal look in today’s world can be hugely attractive to homeowners, especially if you’re keen to create an unobtrusive and versatile room that maximises natural light. To achieve the absolute most of your space, input from a professional can work wonders and provide invaluable advice when you’re at the design and planning stages. Their experience and expertise will offer you plenty of ideas and there’s a strong chance they could bring something new to the table. They will know what does and doesn’t work and that’s because they have probably created similar looks and designs for other clients. Don’t be afraid to introduce your architect or designer to us. We’ll happily work together and map out an innovative and bespoke design to transform your home and create the most wonderful space for you to live in. Bringing the experts together can make a massive difference to how a project can run. Bifold doors can brilliantly and efficiently turn a dark and drab room into a light and airy living space that you’ll be proud to show off to your friends and family. How you want your kitchen to look is, of course, a very personal choice but remember that whatever glazing you choose becomes a serious consideration in the design process. When you’re thinking about colours of cabinets in the kitchen, assessing work space and flooring, talk to the experts about bifold doors and find out everything you need to know including colours and styles. Ask yourself what on-trend look you are trying to achieve and how much you want to open up the living space. Creating a unique indoor/outdoor area between the kitchen and the garden is probably the biggest reason homeowners decide to renovate their current living space and decide to have bifold doors installed. They want to create a stunning al-fresco area in the garden, beam light into their kitchens and achieve the perfect indoor/outdoor area to suit their needs. It is a fact that making your kitchen feel more coherent by subtly linking it to a dining area or the garden, can add serious wow factor. But remember…However tempted you may be to rush into a showroom and pick out the perfect kitchen or dash off to find fabrics and flooring, it’s vital that you take plenty of time to consider what it is you really want. And if you’re thinking of having bifold doors, the same rules apply. The best advice is to ask the experts and work together to break down the planning processes into manageable steps so you’re always in control. So, is open plan living the future? Over recent years, homeowners have shared a dream – to live in an opulent open plan area that looks stylish and beautiful and enables a fluid movement between activities. We’ve been challenging older interior design rules, which used to separate rooms of the home with dividing walls, and are embracing the exciting journey towards open plan living. Now, all we want is for the rooms in our homes to flow together with a perfect through-design and celebrate the innovative use of space when creating a ‘knitted together’ living area suitable for all the family to enjoy. 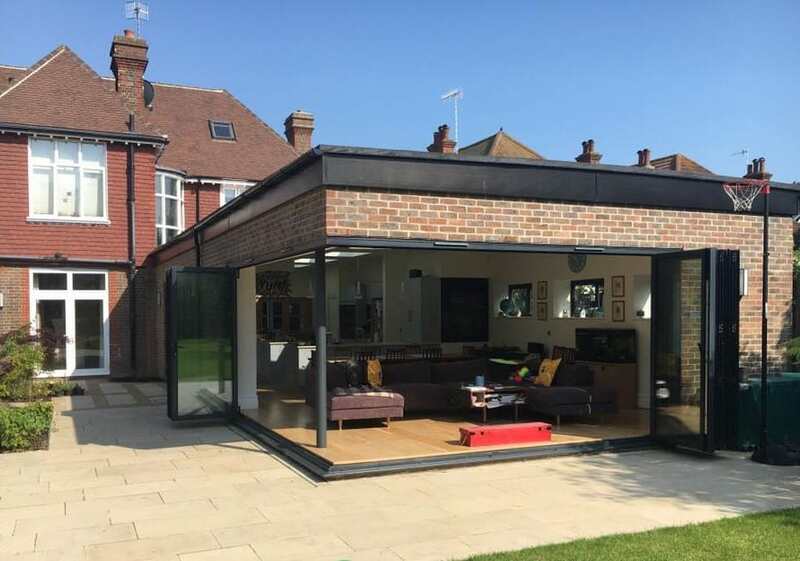 Since establishing how popular it has now become to create areas of open-plan living and introducing the family to a whole new way of life, bifold doors really are the future. If you’re going to invest in a modern home design and rework your kitchen area, this sort of glazing has endless benefits and can change the dynamics of any room. They’re popular because they work well in this kind of living environment and today, because there’s no need to divide rooms in terms of dining, cooking and relaxing, these bifold doors have become the go-to glazing for homeowners who are planning to sprinkle some interior magic and transform their properties. If you want to create a stunning living area which embraces the character of your home, you need to think about design, style, materials and lighting. It’s true that people rate their kitchens as the room with the most financial value but get it right and it could literally save you a fortune by lasting you a lifetime. A wall of doors leading out from your newly-installed kitchen and into your beautifully-tended garden, can create the most perfect look. Planning out the space and choosing the right finishing touches, like creating the right amount of lighting, can really bring a room to life and in the evening, you can create a warm and intimate atmosphere without compromising on space or style. Before you start flicking through kitchen brochures and thinking about knocking down walls, think about what you want and how you’re going to achieve it. There’s something rather wonderful about having more space and being able to continue the ‘flow’ throughout the downstairs of your home, but your kitchen needs to work for you. The finer details are often what makes a kitchen truly handsome but opting for the right glazing can bring elegance, luxury and charm – and this is key to any interiors project. 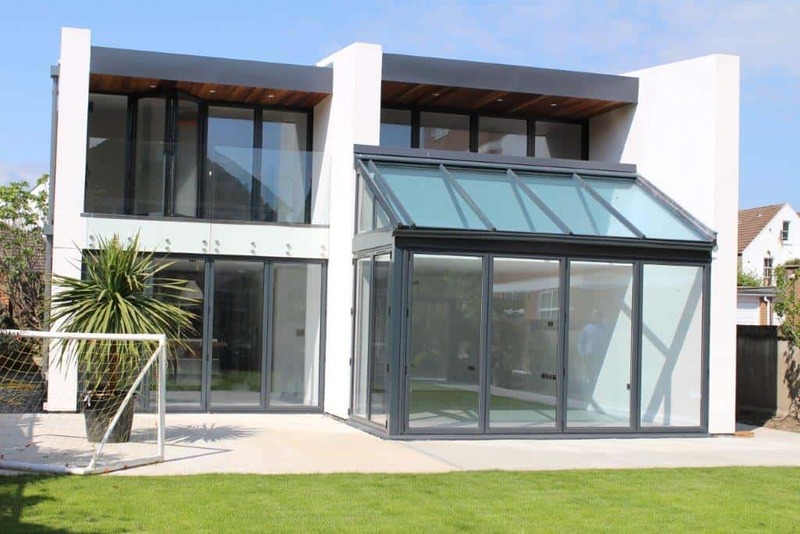 Architectural aluminium glazing is what we do best and there’s no better place than at Bowalker Doors to get the right kind of advice. Our dedicated team of experts know what they’re talking about and can help discuss your plans with you, your on-site designer or architect. 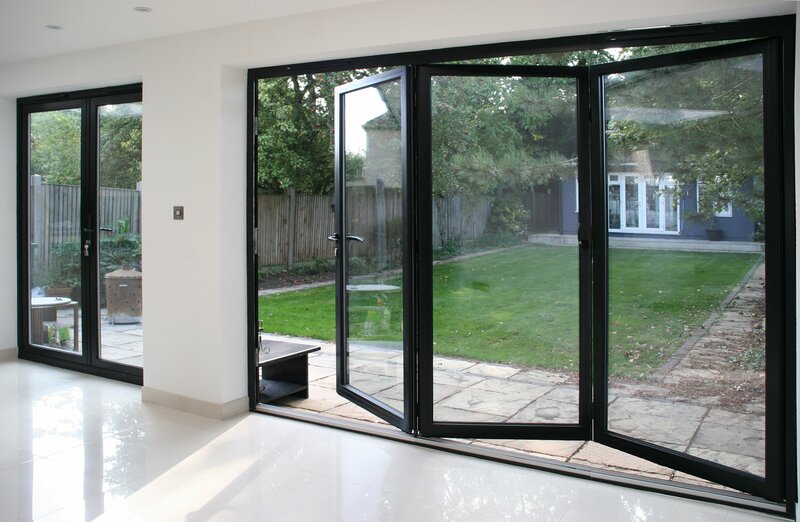 In the showroom, we’ve got aluminium bifold doors on display so you can see how they could work in your home. Uploading your plans to our website is another way to show us round your home and receive the very best advice from the experts.